Call Boat Owner Josie 585-451-5040 585-248-1049. 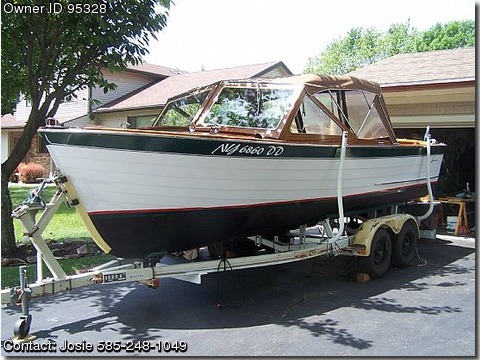 Basic Decription: Classic 1965 Lyman Boat, Mahogany wood boat. "Have over $11K into boat.